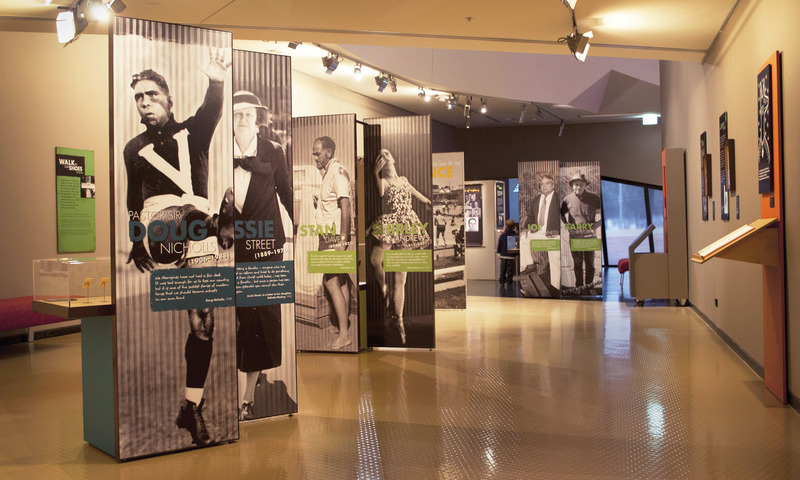 The exhibition tells the largely unknown story of Indigenous and non-Indigenous activists who fought together, for justice and equal rights for Aboriginal and Torres Strait Islander people. From Little Things Big Things Grow is a portable, temporary exhibition travelling to museums, galleries and libraries across Australia. The design evokes the personal within the historical and traces the fight for Indigenous civil rights in Australia from 1920 to 1970. One to one images of activists were used to create an immediate and direct connection with the audience. Period wallpaper and finishes were used to provide a visual context and historical reference for the stories told. The exhibition includes interactive digital multimedia and the children’s interactive The Other Side of the Fence.